Much of Coventry was destroyed in the Blitz, but Coventry’s history dates back to Saxon times and during the Middle Ages was one of the largest and most important cities in England, due its cloth trade. However, hauntings don’t restrict themselves to just old buildings, as the experienced ghost tourist may know. In 2011, the story of a Coventry resident in modern home was reported in the press. The family reported plant pots being thrown around the kitchen, window blinds moving up and down of their own accord and capturing on video, a chair moving across a room independently. They even called a priest to come along and exorcise their home. Reports of a phantom HGV travelling the road from Coventry to Rugby have been lodged, mysteriously vanishing just before hitting the vehicle in front of it. Elsewhere, St. Mary’s Guildhall, which is erected on the site of the original Coventry Castle, has visitors regularly reporting sightings of the ghosts of a little girl, a grey lady and a monk. The ‘Drapers Room’ is claimed to move many visitors to become hysterical having been overcome with feelings of deep sadness, causing them to burst into tears for no good reason. The Establishment Bar and Grill in the city centre of Coventry has such impressive reports of hauntings that it was named ‘Haunted Location Award’ in 2014 by ‘Spook Hunters’. The bar is situated in the within the Old County Hall and used to form part of a jail, gallows and cemetery complex. The last woman in Coventry to be hanged, Mary Bell, was executed just nearby. Paranormal investigators claim that the ghosts of both court officials and prisoners haunt the building. This has to be a must visit for anyone visiting the city! Once you’ve located your ideal haunted hotel, Coventry offers a wealth of fantastic places of interest and experiences to make your stay one that you’ll never forget. In addition, Coventry offers wonderful eateries, the most interesting of places to visit – check out the Music Museum and the statue of one of Coventry’s most famous ladies, Lady Godiva who amusingly is looked upon by another statue of Peeping Tom. Easily accessible by major motorways and rail links Coventry should be on every ghost hunter’s bucket list. 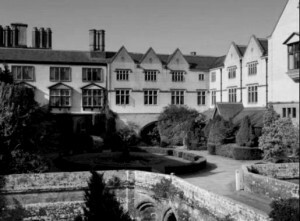 We feature just some of the most haunted hotels in Coventry. 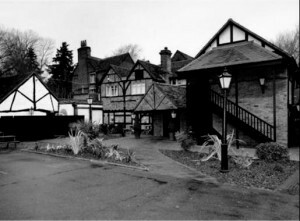 If you know of a haunted hotel in Coventry that we’ve missed, we’d welcome your suggestion. Just click on the ‘Contact Us’ link in the footer at the bottom of the website.